Budget airline Jet2.com is to open its first base in the south of England at Stansted. The Essex airport will be the carrier's ninth UK base when services begin on March 29 next year. The airline's chief executive Steve Heapy says the move will make it "a truly national brand". 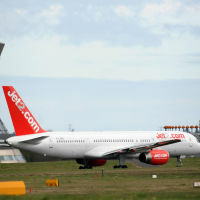 Mr Heapy told the Press Association that Jet2.com and Jet2holidays are enjoying years of success and growth in northern England, Scotland and Northern Ireland because of the company's family friendly ethos. He said: "We think that we have a product that people in the south of England and the east of England want. Mr Heapy expects the firm's package holidays from Stansted to be "a huge draw for people" due to features such as convenient flight times, a deposit of just £60 per person and being Atol protected. The airline is marking the launch by offering 50,000 flights for £30. Stansted's chief executive Andrew Cowan described the announcement as a "vote of confidence in Stansted," saying it demonstrates the airport's ability to offer more flights amid the long-delayed decision on whether to boost runway capacity at Heathrow or Gatwick. Wherever travellers fly from they should take out travel insurance to protect against delays and cancellations.